Award-winning architecture firm Corstorphine + Wright has been creating innovative, high-quality architectural design solutions for more than 40 years. 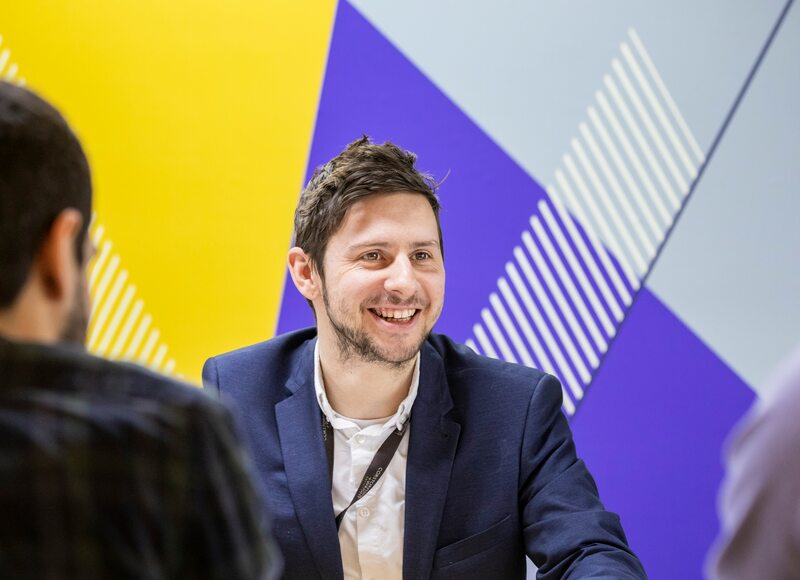 Founded in 1978, the firm has grown to more than 140 employees based in eight offices across the UK including London, Birmingham, Manchester, Warwick, Stourbridge, Glasgow, Canterbury, and Leeds. Corstorphine + Wright is known for integrating the latest technological advances, including 3D-based BIM (Building Information Modeling) into its design processes to deliver innovative building solutions. However, with a growing team, the firm was keen to investigate how to further foster collaboration and promote effective working across the different offices. With an increasing network of offices, Corstorphine + Wright wanted to ensure it could continue to work efficiently and effectively and coordinate internal teams throughout the UK. An expanding project portfolio and an increase in the size and scale of jobs led to larger design file sizes, placing greater pressure on the virtual private network (VPN) and lengthening upload and download times. Without the ability to make updates to models in real time, architects would have to take notes on the design at design-team meetings and then return to the office to make edits. That wasn’t an efficient approach as clients typically want to be able to interrogate a live model to test certain designs before making decisions. Instead, they had to wait for a follow-up meeting or call to discuss the latest revisions. Corstorphine + Wright required a solution that could let the design team make digital markups anywhere at any time and on any device so they can make live updates to models. The volume of design models meant that a lot of local storage was also required to store each project. That was proving to be costly and came with data-protection issues such as access control and disaster recovery. The firm needed a secure cloud solution that would enable colleagues and clients to collaborate anywhere in the country in real time. BIM 360 construction-management software is designed with privacy in mind. All files uploaded to BIM 360 are stored in the cloud on encrypted storage. During 2017, Corstorphine + Wright started investigating cloud-based solutions that could support better collaboration between its design teams. After trying a few different solutions, the firm found that the costs were either too high or the system was not fully compatible with the company’s IT infrastructure. However, after working with a client who requested a design process in BIM 360, Corstorphine + Wright started using BIM 360 Design to coauthor and share its designs, which were primarily made with Revit. Using BIM 360 Design, Corstorphine + Wright was able to coauthor shared Revit models and curate, coordinate, and manage deliverables throughout the project lifecycle. 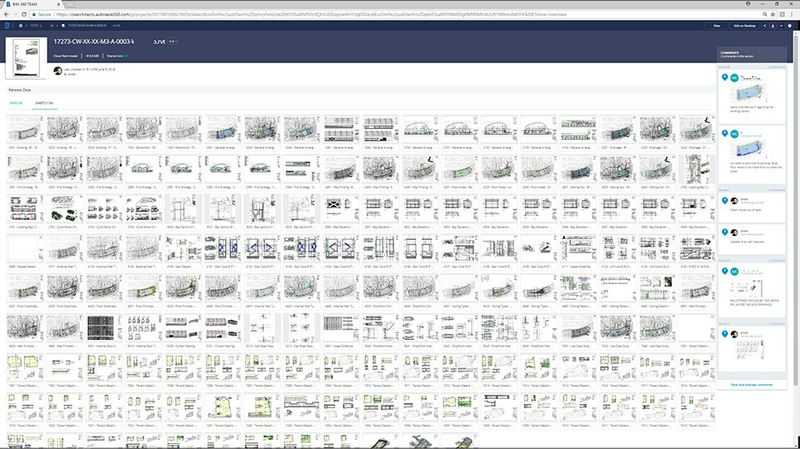 Working on cloud-connected Revit models let not only the architects but also the wider project team and client review design development in real time from a browser, tablet, or mobile device at any time. Design information can now be published to shared folders, letting both design leads and clients track project activity, file version history, and issue management in real time. There are no longer delays when making design updates, and design leads can control work sharing and deliverables with the assurance that the right information is in the right hands throughout the project. Centralizing project information to one online workspace in BIM 360 Design has helped teams—regardless of their location—to always stay connected and has boosted productivity by 25%. The time savings for model syncing are even more impressive: Models can now be uploaded and synced in under a minute, dramatically reducing dead time. Corstorphine + Wright has also been able to save money by drastically reducing its local storage requirements. 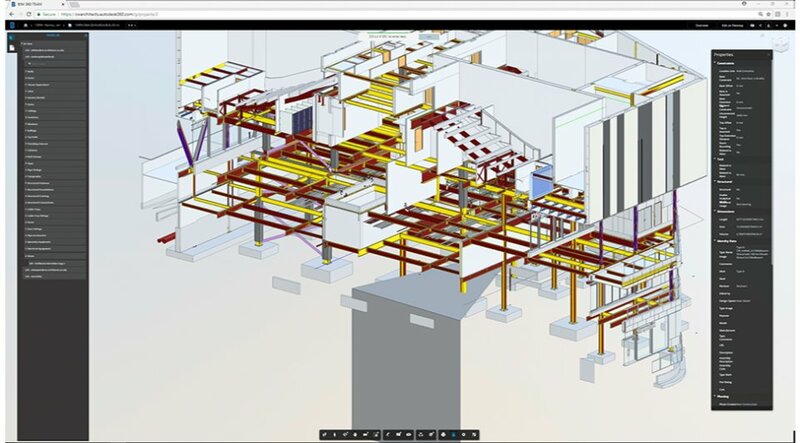 BIM 360 Design lets the firm store unlimited 3D Revit models, 2D CAD sheets, and other designs in a common project repository in the cloud, reducing the risk of loss and improving data protection. The practice has already benefited considerably from its innovative technological investment and has now started to look into how it can integrate virtual reality into its design process. Looking to the future, Corstorphine + Wright is also investigating technologies such as 3D printing and augmented reality to view digital models anywhere in any environment.